As usual I’ll be satisfied with a place on the podium, and I’m aiming for second place – that’s the same thing I thought last year and two years ago. I still haven’t won a silver medal at the Polish Championship despite always trying to get one. Actually, though, I’ve been quite happy with those last two “failures”! Mateusz Bartel: Yes, I think work lies behind every success. However, in chess it often turns out that it’s the result of work that was done much earlier. In my case, I think, a lot depended on work I’d done in the run-up to… last year’s Polish Championship, and also a little later in the period from April – June 2011. At the time I barely played at all, but that meant I was able to train. That bore its first fruit in a truly pleasant series of 62 games without a loss, followed by winning two strong tournaments. Leszek Kropisz: This time round the defence of the Polish title might have put you under pressure, particularly after your success in Moscow. Did you feel that? In my case it ended up being exactly the opposite – I didn’t feel any pressure at all, as after winning in Moscow even a poor performance would have been understandable. So my play was relaxed and much quicker and riskier than usual – which paid dividends. Did you believe that over the course of a single year you’d be able to increase your playing strength so significantly? I recall last year you said you were trying to catch up with Radek, had seen what the work done by a top player looks like and would try to implement it yourself. Can we judge that to have been a success? It looks that way. I learned a lot from Radek, and also from Bartosz Soćko and Grzegorz Gajewski – as I had the pleasure of training with all three of them last year. Each of them has skills I don’t possess, and working together with them made it possible to get a closer look at what they do well. Whether I’ve significantly increased my playing strength is something that’s hard for me to judge. What pleases me most is that I’ve finally managed to stabilise my results – I’ve had fewer big setbacks. That’s certainly had an effect on my rating. For many reasons this was one of the toughest games of the Championship. Firstly, it’s always difficult to get into the swing of a tournament. Secondly, my opponent is very strong (a year ago Michał ended up in 10th place and was fighting for a medal until the last game), and thirdly – due to fatigue. After an interesting encounter I managed to win the game due to my opponent’s mistakes in time trouble. In this game, not for the first time in my life but for the first time in the tournament, I got a little lucky. Although I’d prepared well I didn’t have a good understanding of the nuances of the position, and after a strong manoeuvre (Bd2-c1-b2) my opponent was better. I then compounded that by losing my way and after 21.Bxd5 Wojtek had a much better position. Subsequently, however, I managed to escape by giving up the exchange, after which Wojtek started to play very inaccurately. We finally got an ending where I was down an exchange but had threatening pawns, and my opponent didn’t manage to find an effective defence. At the end there was a Rook + Bishop v Rook ending, but in a version where White was bound to lose. Tablebases reveal that with perfect play White could have held the ending with Rook + h-pawn v. Rook + Bishop. His last chance was here, after 67...Bf4. 68.Rd8! was the only move to draw, while after 68.Kd1 Bartel didn't give Moranda any more chances. This game didn’t go well for me – true, I surprised Bartek with the move 3.g3, after which he fell into a more or less 35(! )-minute think, but after that Black didn’t have any problems even for a moment, and I was actually the one who had to try and avoid defeat. One of my best games at the Championship and one of the best of my life. I surprised Radek in the opening (he certainly didn’t expect the move 3…dxc4), but then he quickly showed that it’s hard to surprise him – I didn’t particularly know the plan of Ne2-g3 and then h4-h5. Luckily for me, Radek played 13.0-0 instead of 13.Qg4 and after 13…Qh4! it turned out that Black has the wind in his sails. After that Radek also played the unimpressive 17.Qa4 (17.Qf3 was better), and after 20.Nxd5 he ran into 20…Rf5!. 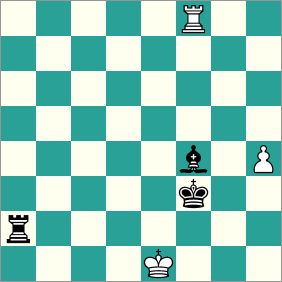 At that point White’s position wasn’t yet lost, but it was worse and defending such a position, especially in time trouble, was very difficult. I played that game well and didn’t allow myself too many inaccuracies, so I also didn’t make Radek’s task any easier. 20...Rf5! here turned the tables - after any other move White is on top. By far my worst game at the tournament. The cause of the defeat was very simple – when I played 16.b4 I simply gave up a pawn, as I hadn’t seen that on the 17th move Black has the defence Bd4!. Although Black’s position wasn’t yet won by that point he already had an advantage. After that Kamil didn’t give me the slightest chance of complicating matters and claimed a deserved win. Here Bartel had missed 17...Bd4! 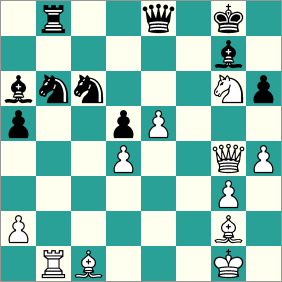 - the knight fork on e2 prevents White from winning a piece. As with the game against Radek this was one of the best games of my life. I managed to play a positional piece sacrifice against a player I have very bad results against. It’s always nice to win such games and the effect wasn’t even spoiled by the fact that after the inaccurate manoeuvre Bd8-b6 White could have saved himself with 30.Qxh3. 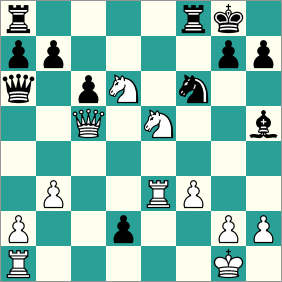 Bartel decided to "punish" the risky 16.g4 with 16...Nfxe4!? 17.Bxe4 Nxe4 18.Rxe4 f5 19.gxf5 Bxf5. Computers still slightly prefer White, but Bartel was in his element! 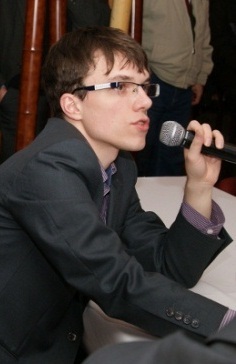 Bartel gave a detailed commentary on this game at Chess-News (also available in Russian). My opponent was in good form at the Polish Championship and confirmed that by how he played this game. 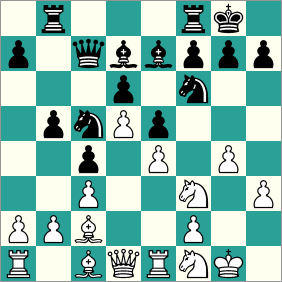 Although initially in the opening he played the rather dubious 8…Ba3, for a long time after that he made the best moves. In typical fashion I got a bit carried away when I gave up two pawns, and after the strong 18…d3 and 19…d2 I was on the verge of defeat. The computer claims Black would have been close to a win if he’d played 22…Nd5, but during the game that wasn’t easy to find. Later Krzysiek strove for unnecessary simplifications and the result of that was an ending where I was better. Just when it seemed as though the game was going to be a long one Krzysiek played the suicidal 36…b5. After that White was within touching distance of a win and it was always getting closer. When the rook ending arose White should definitely win, although my opponent’s resignation was premature – I’d still have had to make a few precise moves. Bartel's position is hanging by a thread. Here 22...Nd5! is the move that gives Black a clear edge. Bulski instead played 22...Bg6. I always slip from Robert’s grasp at the last moment. The grandmaster from Gdansk frequently gets a much better or won position against me, but with surprising regularity he then fails to win. 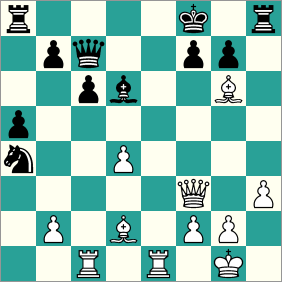 On this occasion, in the spirit of a few previous games from the Polish Championship, I left a pawn en prise. The sacrifice was absolutely unnecessary and Robert ended up with an extra pawn. True, I had some kind of compensation on the light squares, but it was extremely elusive. 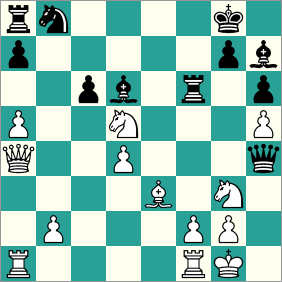 If Robert had gone for 31.Nc2 I’d have been on thin ice. After the move in the game the situation was simplified and there was quite a smooth transition to a clearly drawn ending. Recently I’ve had very good results against Tomek – perhaps chaos on the chessboard is a good method to use against the five-time Polish Champion? I decided to keep to that strategy and complicate play as far as possible. I played a very dubious opening and no doubt got a worse position. However, it only required a few inaccurate moves from Black and allowing White to play f4-f5 for White’s attack to become threatening all of a sudden. The climax of the game and the Championship was visually appealing – first giving up a piece on g6 for the attack, and then the decisive blow of giving up the exchange on b6. 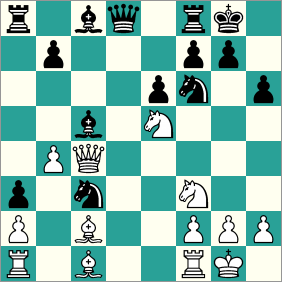 Bartel finished a fine attack with 27.Rxb6! Rxb6 28.Bxd5+ Kh7 29.Qf5!. It's either mate or 29...Qxg6 loses the queen to 30.Bg8+. As a 1-1 score would be enough for me (if the two 25-minute games proved indecisive Bartel’s better tiebreakers would give him the title – CiT) I could allow myself more freedom than my opponent. You could see that in the opening – Bartek knew more about the English Opening than I did and said himself that he knew a path to a drawn ending. However, he wanted to play for a win in the first game and that proved fatal. Although he had a good position, ultimately – due to time trouble – he went wrong. I then got an ending with a material edge. I didn’t convert it very convincingly, but I nevertheless managed to get the win, thanks to which the second game was unnecessary. 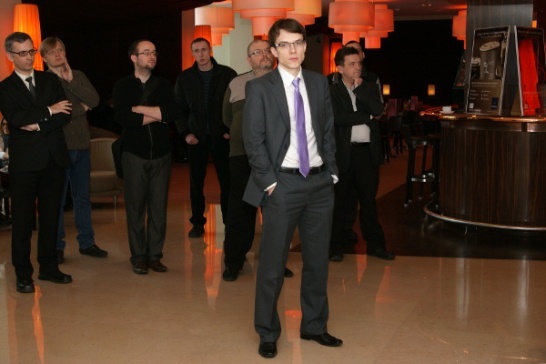 Let’s return to the Aeroflot Open, where your win against Fabiano Caruana had a worldwide resonance. How did it happen? Where did the brilliant Italian go wrong? Perhaps you were perfectly prepared for that opening? I think Fabiano lost the game in his head. My unexpected draw offer on move 10, combined with my opponent rejecting it and immediately going on to make a number of poor moves, meant that the Italian rapidly found himself in an unpleasant situation. No doubt he wanted to beat me, but the situation on the chessboard quickly became “one-way traffic”. After that he faced an uphill struggle psychologically, and he didn’t cope with it – the result was a miniature, a painful loss. I think that’s the worst game Caruana’s played in the last couple of years. Here Bartel played the quiet but lethal 22.Bg5!!. Caruana resigned, as it turns out there's no good way of dealing with the threat of Be7. What do you think about Bartłomiej Macieja, the silver medallist? Bartek was probably the greatest surprise of this Championship. Recently he’d seemed to be taking a more relaxed attitude to chess, but this Polish Championship really mattered to him. 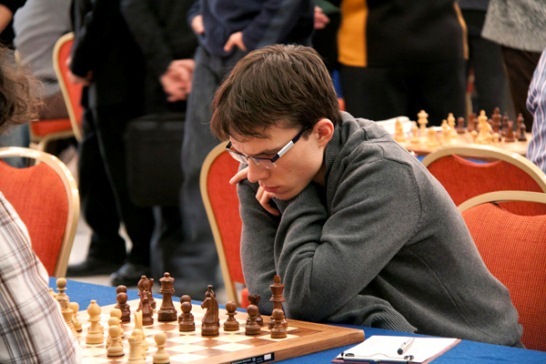 (Macieja may have been extra-motivated after criticism from some sections of the Polish chess community for recently playing – and doing well in – a series of relatively weak events in Central and South America. It was also suggested that lower-rated World Junior Champion Dariusz Świercz should have been chosen in his place for the Polish team at the European Team Championship – CiT) He was decently prepared for the games and you could see the energy and will to win in his play. Of course Bartek got into his usual time trouble, but on this occasion it didn’t deprive him of a single point. His score of 7 out of 9 was absolutely deserved. And Kamil Mitoń, the bronze medallist? I’m glad Kamil ended up with a medal – after all, he’s one of our best players and he’d never stood on the podium before. He started badly with two draws, but after that Kamil won the next three games in a row, including against me. To be honest, he didn’t really give me a chance, although some of the guilt was mine as I simply handed him a pawn. At +3 Kamil played confidently and he added another plus without any great difficulty. Kamil can have some regrets about the game against Bartek Macieja – no doubt he could have squeezed more out of it. In that case he’d have been fighting for first place to the very end. You’re still the editor-in-chief of the magazine “Mat”, so it seems that hasn’t got in the way of your success. Are you planning to stay in that role? As I’ve already mentioned more than once I currently don’t have a lot of work to do at Mat – I’m mainly writing articles. The “dirty work” is done by Michał Rudolf. I’ve been trying to help him out but that doesn’t take me a lot of time, and certainly much less than it once did. As I love what I do I treat it as a hobby – so yes, I’ll remain the editor-in-chief of Mat. 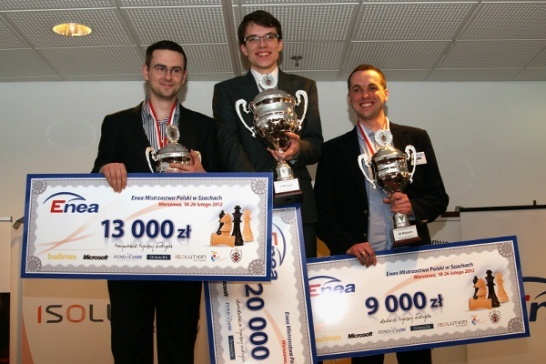 What’s your assessment of the Polish Chess Federation board after three years in power? It can’t be anything other than very positive. Of course, the Federation could and still can do more – that’s always the case. However, the leap that’s been made in the last three years is very significant. There’s still a lot to do and they can’t rest on their laurels, but the facts are indisputable – more and more serious companies are cooperating with the Federation, we’ve got good Polish Championships, the Federation has an impressive headquarters and they’re trying to help (teach) the regional federations to acquire sponsors. Next year we’re going to have the Men’s European Championship and the European Team Championship in Poland. Finally, we’ve got the Wojtaszek COMARCH Team (a project where the Polish-based global IT firm Comarch is sponsoring cooperation between Wojtaszek and some of Poland’s most promising young chess players – CiT). There’s a lot more that could be mentioned. I think even the results of our players – Darek Świercz’s World Championship, Radek finishing runner-up in Europe and seeing his rating jump, or my recent results are also partly down to those in charge and the good atmosphere they’ve created. In your opinion, which Polish players have the greatest chance of reaching the so-called super-grandmaster level of 2700+? I don’t want to talk about individuals. In actual fact, many players at grandmaster level are capable of making a leap. It all depends on whether someone’s willing to get down to working hard or not, and whether they’re able to draw conclusions from defeats, and so on. What are your next chess plans? Are you going to concentrate only on the July super-tournament in Dortmund? At what point in your life did you finally decide to devote yourself to chess? I think the key was winning the Polish Championship in 2006. Towards the end of 2005 I wasn’t sure whether it was worth keeping playing chess. The success in the Polish Championship in Krakow motivated me first to take a break from my studies and then to undertake training sessions, as a result of which I jumped to 2600. After that there were a lot of ups and downs, and overall I stood still for a few years, but now I’ve made some progress. I hope it isn’t over yet. Do you treat chess only as a sport, or is it also relaxation – occasionally playing games for fun with friends? For me chess is a contest. So playing for fun doesn’t really interest me – yes, I can play with friends “to relax”, but always to win. Which books would you recommend for someone trying to raise the level of their chess and improve? Do you have any general advice about playing technique that you could share with your fans? There are so many books that you could recommend hundreds of them. It’s worth picking up Kasparov’s books – in general, they’re all wonderful. From the point of view of openings Marin and Avrukh are wonderful authors. You can’t forget about tactics either, but for that almost every book is good. Do you still play on the internet? What can we wish the new-old Polish Champion for 2012? In that case I wish you a medal at the Olympiad and thank you for the interview! Interesting interview. Bartel comes through as a modest, thoughtful, and quite engaging person. 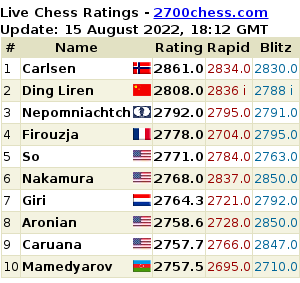 It is a pity that he is not doing that well at Plovdiv right now, and I am afraid he will get a bit further from 2700, at least for the time being. 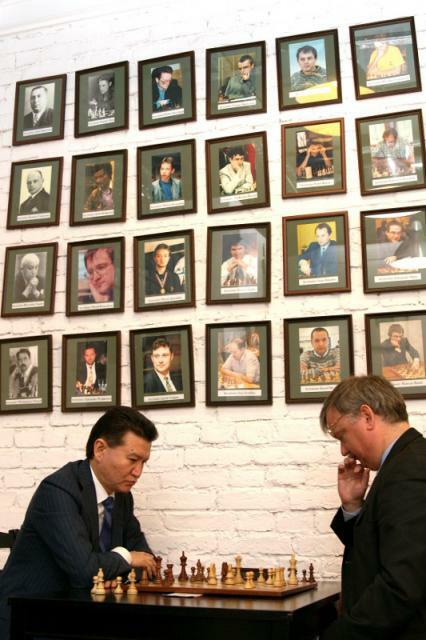 thanks a lot for the whole lot of work you provide for us chessfolk. You are adding a lot to the game – it´s not just the moves, after all. Wonderful to do such a thing. Of all the things I have read about in chess cluutre and chess history, I miss adjournments most. (I care not about the influence of machines I prefer the sportsmanship that adjournments proffer to the viewing public.) A real player should be able to restrain himself the goal is not merely the win, but a beautiful, instructive game that in the end improves the endgame understanding of both the players.